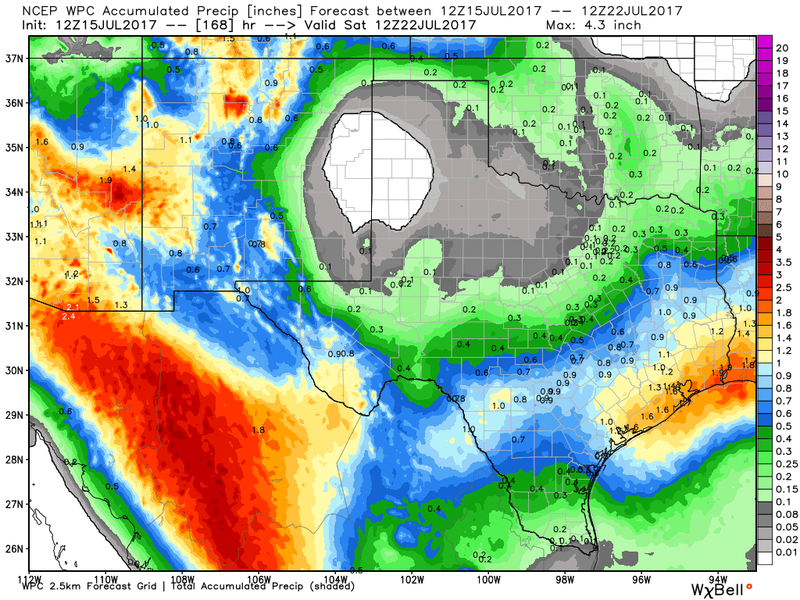 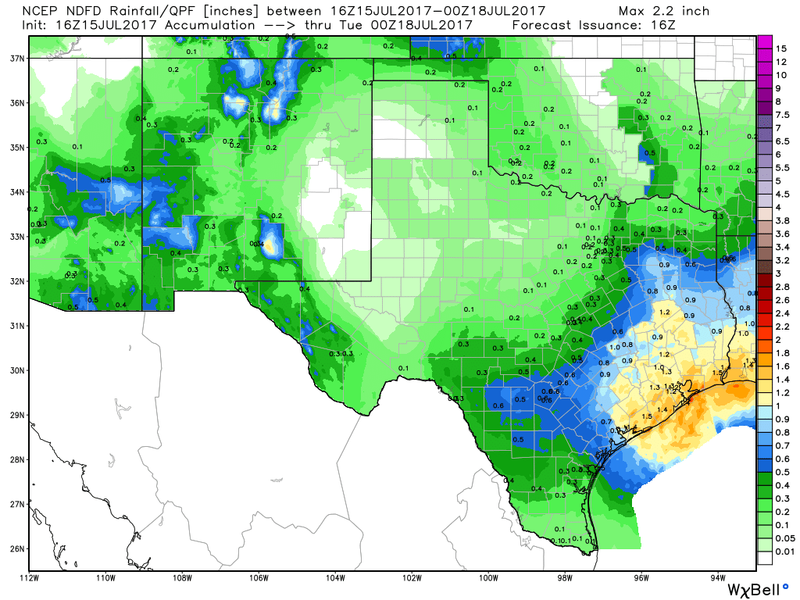 Who Gets Rain Over The Next Week? 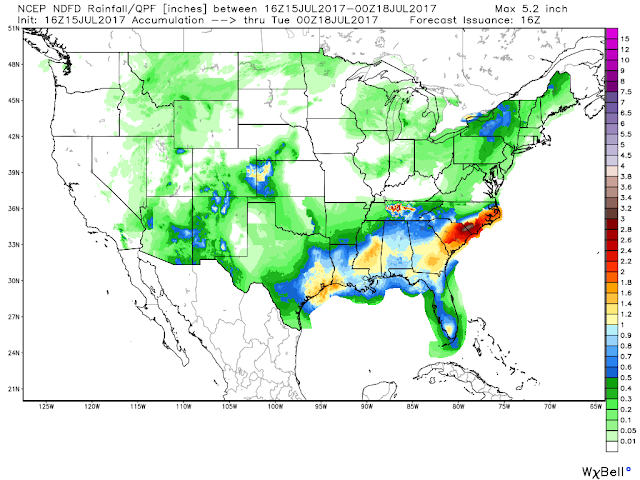 WPC 7-Day Rainfall Total Forecasts. NWS NDFD Total Rainfall Forecasts. 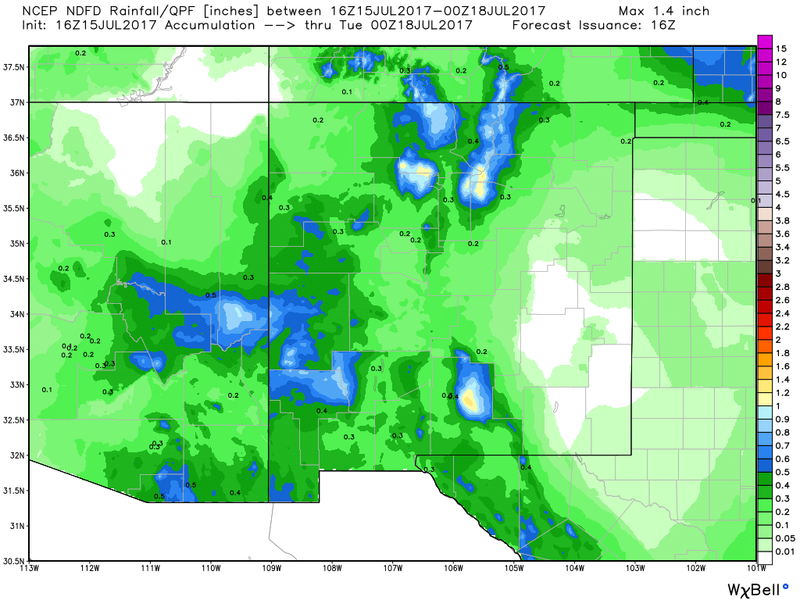 Valid From 10 AM MDT This Morning Through 6 PM MDT Monday. 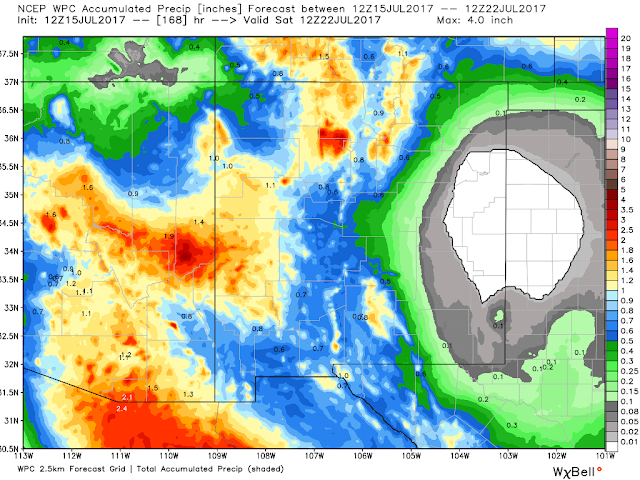 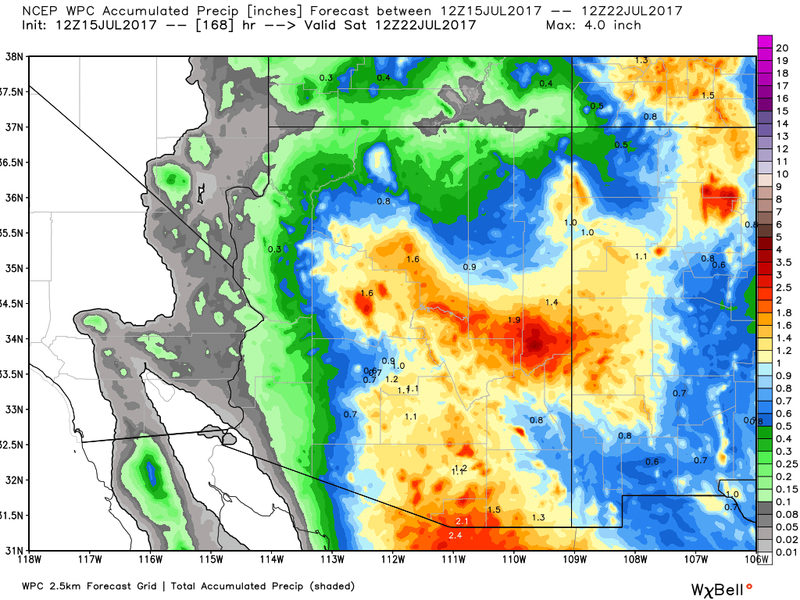 After taking a look at the forecast rainfall totals from the graphics above its not hard to figure out where the so called ring of fire and the summer monsoon flows will be located over the next week. 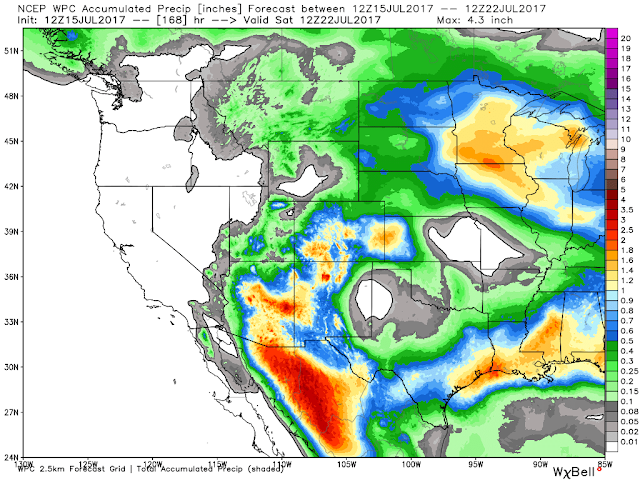 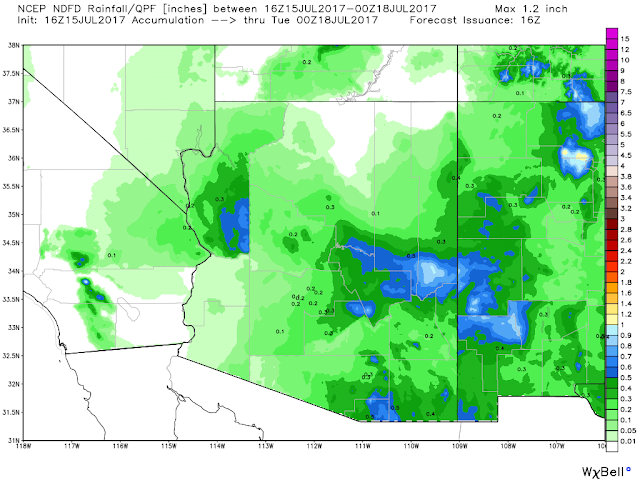 Note also that the heaviest rains are forecast to fall over the mountains of the Desert Southwest which is very typical for our annual summer monsoon pattern.